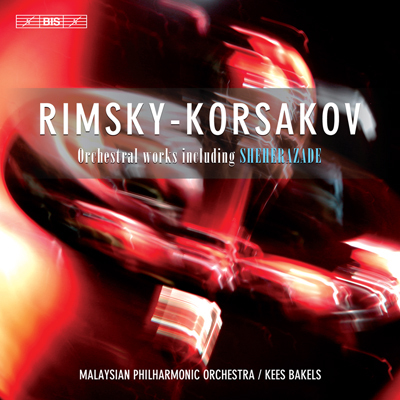 Two recent collections of Russian orchestral music – the Symphonies of Glazunov (BIS-CD-1663/64) and of Rachmaninov (BIS-CD-1665/66) – are here followed by a boxed 4-disc set of orchestral works by Rimsky-Korsakov. The recordings were all made between 2000 and 2002 with the Malaysian Philharmonic Orchestra under their founding principal conductor Kees Bakels, and received much praise at the time of their original releases. The generous selection, at a very advantageous price, contains the composer's 'greatest hits' – the rendition of Sheherazade was called 'a particular joy' by International Record Review – as well as the less commonly-heard three symphonies, in performances which to the reviewer of web site Classics Today proved 'the Malaysian Philharmonic members fully immersed in the composer's unique sound world.' Another rarity is the Piano Concerto in C sharp minor, in which eminent pianist Noriko Ogawa makes an appearance.